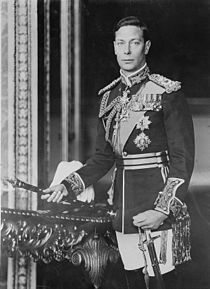 George VI (Albert Frederick Arthur George; 14 December 1895 - 6 February 1952) was King of the United Kingdom and the Dominions of the British Commonwealth from 11 December 1936 until his death. He was the last Emperor of India, and the first Head of the Commonwealth. As the second son of King George V, he was not expected to inherit the throne and spent his early life in the shadow of his elder brother, Edward. He served in the Royal Navy during World War I, and after the war took on the usual round of public engagements. He married Lady Elizabeth Bowes-Lyon in 1923, and they had two daughters, Elizabeth and Margaret. On the day of his accession, the parliament of the Irish Free State removed the monarch from its constitution. Further events during George's reign accelerated the break-up of the British Empire and its transition into the Commonwealth of Nations. Three years after his accession, the Empire and Commonwealth, except the Irish Free State, was at war with Nazi Germany. In the next two years, war with Italy and Japan followed. 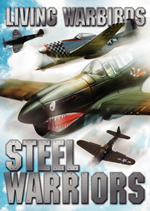 Though Britain and its allies were ultimately victorious, the United States and the Soviet Union rose as pre-eminent world powers and the British Empire declined. After the independence of India and Pakistan in 1947, his title of Emperor of India was abandoned in June 1948. Ireland was formally declared a republic in 1949, and India followed suit the following year. George adopted the new title of Head of the Commonwealth. He was beset by health problems in the later years of his reign. After his death, he was succeeded by his elder daughter, Elizabeth II. George VI was born at York Cottage, on the Sandringham Estate in Norfolk, during the reign of his great-grandmother Queen Victoria. His father was Prince George, Duke of York (later King George V), the second and eldest-surviving son of the Prince and Princess of Wales (later King Edward VII and Queen Alexandra). His mother was the Duchess of York (later Queen Mary), the eldest child and only daughter of the Duke and Duchess of Teck. His birthday (14 December 1895) was the anniversary of the death of his great-grandfather, Prince Albert, the Prince Consort. Uncertain of how the Prince Consort's widow Queen Victoria would take the news of the birth, the Prince of Wales wrote to the Duke of York that the Queen had been "rather distressed". Two days later, he wrote again: "I really think it would gratify her if you yourself proposed the name Albert to her". Queen Victoria was mollified by the proposal to name the new baby Albert, and wrote to the Duchess of York: "I am all impatience to see the new one, born on such a sad day but rather more dear to me, especially as he will be called by that dear name which is a byword for all that is great and good". Consequently, he was baptised "Albert Frederick Arthur George" at St Mary Magdalene's Church near Sandringham three months later. As a great-grandson of Queen Victoria, he was known formally as His Highness Prince Albert of York from birth. Within the family, he was known informally as "Bertie". However, his maternal grandmother, the Duchess of Teck, did not like the first name the baby had been given, and she wrote prophetically that she hoped the last name "may supplant the less favoured one". Albert, as he was known, was fourth in line to the throne at birth, after his grandfather, father and elder brother Edward. 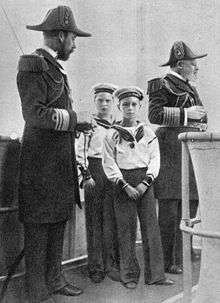 Picture - Four kings: King Edward VII (far right), his son George, Prince of Wales, later George V (far left), and grandsons Edward, later Edward VIII (rear), and Albert, later George VI (foreground), c. 1908. In 1898, Queen Victoria issued Letters Patent that granted the children of the eldest son of the Prince of Wales the style Royal Highness, and at the age of two, Albert became "His Royal Highness Prince Albert of York". He often suffered from ill health and was described as "easily frightened and somewhat prone to tears". His parents, the Duke and Duchess of York, were generally removed from their children's day-to-day upbringing, as was the norm in aristocratic families of that era. He had a stammer that lasted for many years, and was forced to write with his right hand although he was naturally left-handed. He suffered from chronic stomach problems as well as knock knees, for which he was forced to wear painful corrective splints. Queen Victoria died on 22 January 1901, and the Prince of Wales succeeded her as King Edward VII. The Duke of York became next in line to the throne. Prince Edward moved up to second in line to the throne, and Prince Albert was third. From 1909, Albert attended the Royal Naval College, Osborne, as a naval cadet. In 1911, he came bottom of the class in the final examination, but despite this he progressed to the Royal Naval College, Dartmouth. When Edward VII died in 1910, Albert's father became King George V. Prince Edward was created Prince of Wales, and Albert was second in line to the throne. Albert was commissioned as a midshipman on 15 September 1913 and one year later began service in World War I. His fellow officers gave him the nickname "Mr. Johnson". He was mentioned in despatches for his action as a turret officer aboard HMS Collingwood during the Battle of Jutland (31 May - 1 June 1916), an indecisive action against the German navy that was the largest naval action of the war. He did not see further action in the war, largely because of ill health caused by a duodenal ulcer. In February 1918, he was appointed Officer in Charge of Boys at the Royal Naval Air Service's training establishment at Cranwell. 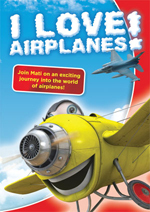 With the establishment of the Royal Air Force two months later and the transfer of Cranwell from Navy to Air Force control, he transferred from the Royal Navy to the Royal Air Force. He was appointed Officer Commanding Number 4 Squadron of the Boys' Wing at Cranwell and he remained there until August 1918. During the closing weeks of the war, he served on the staff of the RAF's Independent Air Force at its headquarters in Nancy. 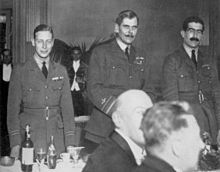 Following the disbanding of the Independent Air Force in November 1918, he remained on the continent as a staff officer with the Royal Air Force. In October 1919, Albert went up to Trinity College, Cambridge, where he studied history, economics and civics for a year. On 4 June 1920, he was created Duke of York, Earl of Inverness and Baron Killarney. He then began to take on royal duties. He represented his father, the King, and toured coal mines, factories, and railyards. Through such visits he acquired the nickname of the "Industrial Prince". His stammering, and his embarrassment over it, together with his tendency to shyness, caused him to appear much less impressive than his older brother, Edward. However, he was physically active and enjoyed playing tennis. He developed an interest in working conditions, and was President of the Industrial Welfare Society. His series of annual summer camps for boys between 1921 and 1939 brought together boys from different social backgrounds. In a time when royals were expected to marry fellow royals, it was unusual that Albert had a great deal of freedom in choosing a prospective wife. In 1920 he met Lady Elizabeth Bowes-Lyon, the youngest daughter of the Earl and Countess of Strathmore and Kinghorne. He became determined to marry her. Although Lady Elizabeth was a descendant of King Robert the Bruce (Robert I of Scotland) and King Henry VII of England, she was, according to British law, a commoner. She rejected his proposal twice and hesitated for nearly two years, reportedly because she was reluctant to make the sacrifices necessary to become a member of the royal family. In the words of Lady Elizabeth's mother, Albert would be "made or marred" by his choice of wife, and after a protracted courtship Elizabeth agreed to marry him. They were married on 26 April 1923 in Westminster Abbey. The newly formed British Broadcasting Company wished to record and broadcast the event on radio, but the Chapter vetoed the idea (although the Dean, Herbert Edward Ryle, was in favour). Lady Elizabeth was styled Her Royal Highness The Duchess of York after their marriage. Albert's marriage to a British commoner was considered a modernising gesture. Because of his stammer, Albert dreaded public speaking. After his closing speech at the British Empire Exhibition at Wembley on 31 October 1925, one which was an ordeal for both him and the listeners, he began to see Lionel Logue, an Australian-born speech therapist. The Duke and Logue practised breathing exercises, and the Duchess rehearsed with him patiently. With his delivery improved by the training, the Duke opened Parliament House in Canberra in 1927, and was able to speak subsequently with only a slight hesitation. His journey by sea to Australia took him via Jamaica, where Albert played doubles tennis partnered with a black man, which was unusual at the time and taken locally as a display of equality between races. The Duke and Duchess of York had two children: Elizabeth (called "Lilibet" by the family), and Margaret. The Duke and Duchess and their two daughters lived a relatively sheltered life at their London residence, 145 Piccadilly. One of the few stirs arose when the Canadian Prime Minister, R. B. Bennett, considered the Duke for Governor General of Canada in 1931-a proposal that the King rejected on the advice of his ministers. On 20 January 1936, King George V died, and Prince Edward ascended the throne as Edward VIII. In the Vigil of the Princes, Prince Albert and his three brothers took a shift standing guard over their father's body as it lay in state, in a closed casket, in Westminster Hall. As Edward had no children, Albert was the heir presumptive to the throne unless then-unmarried Edward had any legitimate children. George V had severe reservations about Edward, saying, "I pray God that my eldest son will never marry and that nothing will come between Bertie and Lilibet and the throne." Less than a year later, on 11 December 1936, Edward VIII abdicated the throne in order to marry his mistress, Wallis Simpson, who was divorced from her first husband and divorcing her second. Edward had been advised by Prime Minister Stanley Baldwin that he could not remain King and marry a divorced woman with two living ex-husbands. Edward chose abdication in preference to abandoning his marriage plans. Thus Albert became king, a position he was reluctant to accept. The day before the abdication, Albert went to London to see his mother, Queen Mary. He wrote in his diary, "When I told her what had happened, I broke down and sobbed like a child." Courtier and journalist Dermot Morrah alleged that there was brief speculation as to the desirability of bypassing Albert (and his children) and his brother Prince Henry, Duke of Gloucester, in favour of their younger brother Prince George, Duke of Kent. 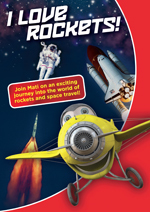 This seems to have been suggested on the grounds that Prince George was at that time the only brother with a son. Albert assumed the style and title of King George VI to emphasise continuity with his father and restore confidence in the monarchy. The beginning of George VI's reign was taken up by questions surrounding his predecessor and brother, whose titles, style and position were uncertain. He had been introduced as "His Royal Highness Prince Edward" for the Abdication broadcast, but George VI felt that by abdicating and renouncing the succession Edward had lost the right to bear Royal titles, including "Royal Highness". In settling the issue, George's first act as King was to confer upon his brother the title HRH The Duke of Windsor, but the Letters Patent creating the dukedom prevented any wife or children from bearing royal styles. George VI was also forced to buy from Prince Edward the royal residences of Balmoral Castle and Sandringham House, as these were private properties and did not pass to George VI automatically. Three days after his accession, on his 41st birthday, he invested his wife, the new Queen consort, with the Order of the Garter. George VI's coronation took place on 12 May 1937, the date previously intended for Edward's coronation. In a break with tradition, Queen Mary attended the ceremony as a show of support for her son. There was no Durbar held in Delhi for George VI, as had occurred for his father, as the cost would have been a burden to the government of India. Rising Indian nationalism made the welcome that the royal couple would have received likely to be muted at best, and a prolonged absence from the UK would have been undesirable in the tense period before World War II. Two overseas tours were undertaken, to France and to North America, both of which promised greater strategic advantages in the event of war. Picture - George VI, grants Royal Assent to laws in the Canadian Senate, 19 May 1939. His consort, Queen Elizabeth, is to the right. In May and June 1939, the King and Queen toured Canada and the United States. 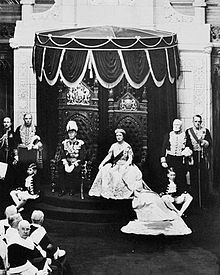 From Ottawa, the royal couple were accompanied throughout by Canadian prime minister William Lyon Mackenzie King, to present themselves in North America as King and Queen of Canada. George was the first reigning monarch of Canada to visit North America, although he had been to Canada previously as Prince Albert and as Duke of York. Both Governor General of Canada Lord Tweedsmuir and Mackenzie King hoped that the King's presence in Canada would demonstrate the principles of the Statute of Westminster 1931, which gave full self-government to the British Dominions and recognised each Dominion as having a separate crown. Thus, at his Canadian residence, Rideau Hall, George VI personally accepted and approved the Letter of Credence of the newly appointed U.S. Ambassador to Canada, Daniel Calhoun Roper. The official royal tour historian, Gustave Lanctot, stated: "When Their Majesties walked into their Canadian residence, the Statute of Westminster had assumed full reality: the King of Canada had come home." The entire trip was a measure intended to soften the strong isolationist tendencies among the North American public with regard to the developing tensions in Europe. Although the aim of the tour was mainly political, to shore up Atlantic support for the United Kingdom in any future war, the King and Queen were enthusiastically received by the public. The fear that George would be compared unfavourably to his predecessor, Edward VIII, was dispelled. They visited the 1939 New York World's Fair and stayed with President Franklin D. Roosevelt at the White House and at his private estate at Hyde Park, New York. After war broke out in September 1939, George VI and his wife resolved to stay in London, despite German bombing raids. They officially stayed in Buckingham Palace throughout the war, although they usually spent nights at Windsor Castle. The first German raid on London, on 7 September 1940, killed about one thousand civilians, mostly in the East End. On 13 September, the King and Queen narrowly avoided death when two German bombs exploded in a courtyard at Buckingham Palace while they were there. In defiance, the Queen famously declared: "I am glad we have been bombed. We can now look the East End in the face". The royal family were portrayed as sharing the same dangers and deprivations as the rest of the country. They were subject to rationing restrictions, and U.S. First Lady Eleanor Roosevelt remarked on the rationed food served and the limited bathwater that was permitted during a stay at the unheated and boarded-up Palace. In August 1942, the King's brother, Prince George, Duke of Kent, was killed on active service. In 1940, Winston Churchill replaced Neville Chamberlain as Prime Minister, though personally George would have preferred to appoint Lord Halifax. 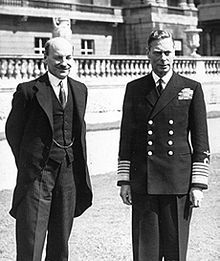 After the King's initial dismay over Churchill's appointment of Lord Beaverbrook to the Cabinet, he and Churchill developed "the closest personal relationship in modern British history between a monarch and a Prime Minister". 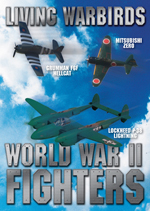 Each Tuesday for four and a half years from September 1940 the two men met privately for lunch to discuss the war in secret and with frankness. 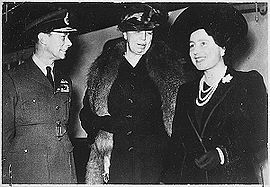 A strong bond of friendship was forged between the King and Queen and President Franklin D. Roosevelt and First Lady Eleanor during the 1939 royal tour, which had major significance in the relations between the United States and the United Kingdom through the war years. Throughout the war, the King and Queen provided morale-boosting visits throughout the United Kingdom, visiting bomb sites and munitions factories, and (in the King's case) visiting military forces abroad. Their high public profile and apparently indefatigable determination secured their place as symbols of national resistance. In 1945, crowds shouted "We want the King!" in front of Buckingham Palace during the Victory in Europe Day celebrations. In an echo of Chamberlain's appearance, the King invited Churchill to appear with him on the balcony to public acclaim. George VI's reign saw the acceleration of the dissolution of the British Empire, which had begun with the Balfour Declaration at the 1926 Imperial Conference, when the British Dominions were acknowledged to have evolved into sovereign states over a period of years-a declaration which was formalised in the Statute of Westminster 1931. The process of transformation from an empire to a voluntary association of independent states, known as the Commonwealth, gathered pace after World War II, especially in the ministry of Clement Attlee. British India became the two independent dominions of India and Pakistan in 1947. George relinquished the title of Emperor of India, and became King of India and King of Pakistan instead. He remained King of Pakistan until his death, but in 1950 George ceased to be King of India when India became a republic within the Commonwealth of Nations, recognising George's new title as Head of the Commonwealth. Other countries, such as Transjordan in 1946, Burma in January 1948, Palestine (although divided between Israel and the Arab states) in May 1948 and Ireland in 1949, opted out of the Commonwealth. The stress of the war had taken its toll on the King's health, exacerbated by his heavy smoking and subsequent development of lung cancer among other ailments including arteriosclerosis. Princess Elizabeth, the heiress presumptive, took on more royal duties as her father's health deteriorated. A planned tour of Australia and New Zealand was postponed after the King suffered an arterial blockage in his right leg, which was operated on in March 1949. The delayed tour was re-organised with Princess Elizabeth and her husband, Prince Philip, Duke of Edinburgh, taking the place of the King and Queen. The King was well enough to open the Festival of Britain in May 1951, but on 23 September 1951, he underwent a pneumonectomy where his left lung was removed following the discovery of a malignant tumour. At the State Opening of Parliament in November, the King's speech from the throne was read for him by the Lord Chancellor Lord Simonds. His 1951 Christmas broadcast was recorded in sections, and then edited together. On 31 January 1952, despite advice from those close to him, he went to the airport to see off Princess Elizabeth, who was going on her tour of Australia via Kenya. On 6 February, George VI died from a coronary thrombosis in his sleep at Sandringham House in Norfolk, at the age of 56. His daughter Elizabeth flew back to the UK from Kenya as Elizabeth II. Because George died in his sleep during the night, his precise moment of death, equally the precise moment of Elizabeth's accession, is not known. His funeral took place at St. George's Chapel, Windsor Castle, on 15 February 1952, after a lying in state at Westminster Hall. He was interred in the Royal Vault until transferred to the King George VI Memorial Chapel inside St. George's on 26 March 1969. In 2002, the remains of his widow, Queen Elizabeth The Queen Mother, and the ashes of his daughter Princess Margaret, who both died that year, were interred in the chapel alongside him. In the words of Labour M.P. George Hardie, the abdication crisis of 1936 did "more for republicanism than fifty years of propaganda". George VI wrote to his brother, Edward, that in the aftermath of the abdication he had reluctantly assumed "a rocking throne", and tried "to make it steady again". He became king at a point when public faith in the monarchy was at a low ebb. During his reign his people endured the hardships of war, and imperial power was eroded. However, as a dutiful family man and by showing personal courage, he succeeded in restoring the popularity of the monarchy. The George Cross and the George Medal were founded at the King's suggestion during the Second World War to recognise acts of exceptional civilian bravery. He was posthumously awarded the Ordre de la Lib�ration by the French government in 1960, one of only two people (the other being Churchill) to be awarded the medal after 1946. There are a number of geographical features, roads, and institutions named after George VI. These include King George Hospital in London; King George VI Highway and King George Station in Surrey, British Columbia; George VI Sound in Antarctica; and the King George VI Chase, a horse race in the United Kingdom. 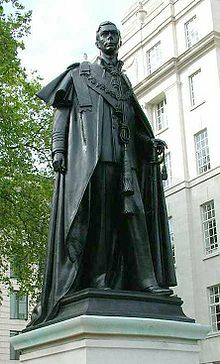 In 1955 a statue of the king in his Garter robes was erected just off The Mall and Carlton Gardens in London. A neighbouring statue of his wife was unveiled in 2009. 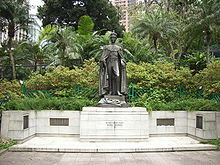 Another statue of the king can be found in the Hong Kong Zoological and Botanical Gardens. On screen, George VI has been portrayed by, among others, Colin Firth, who won an Academy Award for Best Actor for the role in the 2010 film The King's Speech. 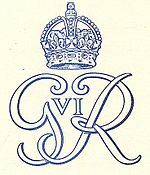 Picture - Royal cypher (monogram) from 1949. George held a number of titles throughout his life, as successively great-grandson, grandson and son of the monarch. As sovereign, he was referred to most often as simply The King or His Majesty; if a distinction was necessary, this was modified to His Britannic Majesty, His Imperial Majesty, His Canadian Majesty, etc. In his position as sovereign, George automatically held the position of Commander-in-Chief in some realms, such as Canada and the United Kingdom. The Duke of York bore the royal arms of the United Kingdom, differenced with a label argent of three points, the centre bearing an anchor azure (i.e., to distinguish the Duke's arms from his father's, they bore a silver band across the top from which three panels descend, the middle one bearing a blue anchor)-a difference earlier awarded to his father George V when he was Duke of York, and then later awarded to his grandson, Prince Andrew, Duke of York. As king, he bore the royal arms undifferenced.